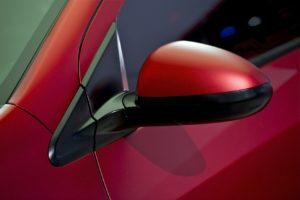 Are You Ruining Your Vehicles Paint? Dripping gas onto your vehicle’s paint can damage it. If you are someone who can’t stop yourself from “topping off” your tank, just remember that if you experience an accidental overflow, to immediately wipe off your car. The gas will stain your car’s paint. Most car enthusiasts recommend grabbing the closest bottle of instant detailer and a microfiber cloth to clean up the mess. Everyone who’s lived near a lot of trees has experienced the frustration of tree sap. It is sticky like glue and if you wipe it when it’s “fresh”, it just spreads and makes a bigger mess. Products created for bug and tar remover are perfect for this situation. Just make sure you use a clean washcloth or terry cloth. When removing tree sap from a window or windshield, try using nail polish remover if soap and water doesn’t work. They fly at our faces and can give us itchy bumps on our skin; however, nighttime seems to be the most popular time for bugs throw themselves in front of our vehicles. Do you ever feel like you found the largest group of bugs gathering right in front of your windshield?! Windshield washer fluid never seems to remove the bug remains and most people don’t run straight to the car wash every time their car has been pelted with bugs. Well, maybe you should. Bug guts are acidic and will scratch your paint. Again, investing in a bug and tar remover along with a good car wash solution is the key! Just like bugs, bird poop is acidic and cannot be avoided. Did you ever see how marble statues are ruined because of bird droppings? This is why you must clean bird poop off your vehicle’s paint as soon as you possibly can. Be careful as you clean so you do not scratch your paint further with any seeds or gravel that may be in the poop. Of course it is recommended to clean your car often and apply a good coat of wax. Why not grab some instant detailer and a cloth to keep in your car? You might thank us later!